chamber music recitals across the United States and in Europe. 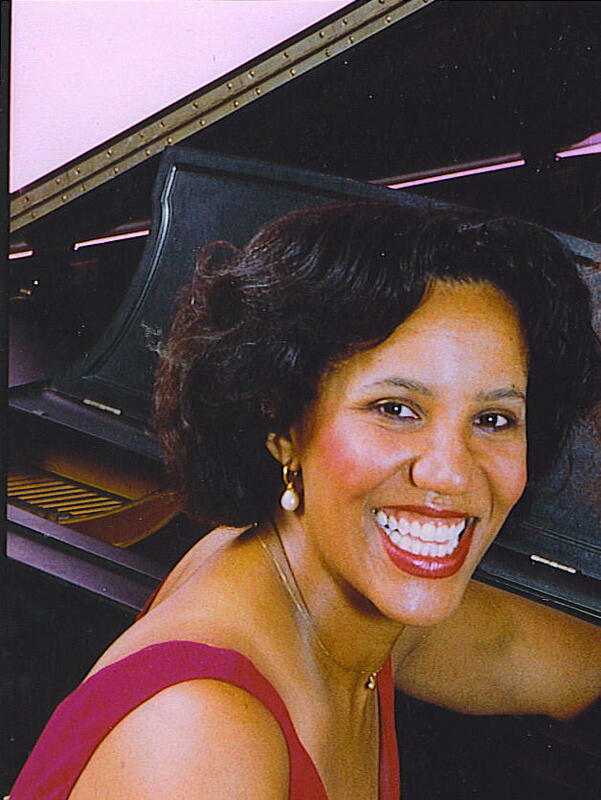 She holds Bachelor’s and Master’s degrees in piano from The Juilliard School, where she studied with William Masselos, Adele Marcus, and Samuel Sanders, and a Doctor of Ensemble Arts degree from the Peabody Institute of Johns Hopkins University, where she studied with Ellen Mack and Robert McDonald. television programs with members of the Boston Symphony Orchestra, New York Philharmonic, Cleveland Orchestra, Metropolitan Opera Orchestra, and St. Paul Chamber Orchestra, among others, and for two decades has appeared annually with headlined artists on the Faculty Showcase concerts at the Sarasota Music Festival. Some of the distinguished artists with whom she has performed are James Buswell, Lynn Chang, Marylou Speaker Churchill, Timothy Cobb, Timothy Eddy, Anthony Elliott, Emmanuel Feldman, Karen Gomyo, Ashleigh Gordon, Vanessa Holroyd, David Houston, Juliette Kang, Alex Kerr, Julie Landsman, Ron Leonard, Philip Lima, Lucia Lin, Philippe Muller, Miguel Perez-Espejo Cardenas, Ann Hobson Pilot, Astrid Schween, Peter Stumpf, Richard Svoboda, Hsin-Lin Tsai, Allan Vogel, Carol Wincenc, William Winstead, Anyango Yarbo-Davenport, Owen Young, and Rebecca Young. Joy’s recent performances include a return engagement on the New York Philharmonic Merkin Hall Concert Series, collaborative concerts at Harvard, Stanford, Seattle, and Tufts Universities, appearances on the Colour of Music series in Houston and Richmond, programs with the Castle of Our Skins, performances with the Boston Public Quartet, and concerts at the Easton Chamber Music Festival, the Sevenars Chamber Music Festival, and the Cremona International Music Academy and Festival in Italy. Her recording credits (available on amazon.com) include “Our American Roots: Music for Cello and Piano” (Delos), with cellist Emmanuel Feldman, following up on their successful collaboration on “Rider on the Plains” (Albany Records), which was nominated for a 2008 Grammy award for best producer (Blanton Alspaugh). Joy made her New York debut at Weill Recital Hall with cellist Joshua Gordon. She served as the first Artist-in-Residence and Assistant Director of the Arts Program at the Aspen Institute for Humanistic Studies in Queenstown, Maryland, and was the inaugural artist in the Tillett Gardens “Arts Alive” concert series in St. Thomas and the Whim House Historical Museum concert series in St. Croix. Joy resides in the Boston area with her husband Chip and son and daughter, Lincoln and Lauryn.